A very thought provoking article that truly made me stop and think. I read this article, courtesy of Rolling Stone while Kathy was having surgery last week. It is well worth the read, in my opinion. Big Al, that article was very interesting. Thanks for posting it. One thing that shouldn’t be feared, is a rise interest rates. Past Fed jawboning looks pretty foolish since Volcker has chimed in. Someone once said that all fear is really nothing more than the fear of dying. Come to terms with death and you can live the rest of your life in peace and harmony. Of course it’s not quite as easy as that. Daily we see the ‘dying’ of loved ones, be they those symbolic ‘deaths in the form of family bust-ups, or of any sudden misfortune coming out of left field. Then with the media invading us 24/7 with endless tragedies and grief, and we naturally transpose these into: Such misfortune could easily befall me or my loved ones’. The Rolling Stone writer makes an important distinction between anxiety and fear. Anxiety otherwise known as worry comes from an Anglo-Saxon word to ‘choke’. The Bible tells us not to be choked by the cares of this world. Nor presumably are we even to be choked by the ‘wars and rumours of wars’ that beset every generation, even when those wars’ destructive potential grows more massive year on year. ….So this is a difficult one: As a Christian I can always call upon many scriptures to make me feel totally safe, such as psalms like 91 – The Lord is my refuge and fortress. My God in Him will I trust…etc ; or even hold onto FDR’s phrase: ‘The only thing we need fear is fear itself’. But fear is a crucial survival mechanism. Anxiety too is natural. But as the R.S writer says: ‘The real goal is to separate real threats from manufactured ones’ and to respond accordingly. Not easy for you friends especially across the pond as November 8th draws near. But that too is an election whose outcome gives the rest of the world considerable pause. For those who believe in prayer, pray for your own inner peace and above all peace for the world. Spiritual Warfare comes to mind for me. Well stated. Heck…I don’t even purchase green bananas anymore……………..
Al: Who are those guys? They are really good ! Browning and Falk among the top 3 QB’s in the Country…Will cheer on your Dawgs …well at least until our annual Apple Cup……..
Definitely the PAC 12 game of the season! Never take life seriously because you will never get out of it alive. Thinking of finding some other exercise to tell the truth. Problem with biking is to get my heart rate up I need to ride between 16 and 24 mph and if I have a spill at those speeds I could be toast. No do not post when you are drinking! Sorry, Mr. Big Al Korelin. But you have to admit it makes you wonder what the world is coming to. Hopefully this will not be an every day occurrence. I don’t agree wit the tone of that article. Sure you should not be fearful but that does not mean you should not be angry. The elites are running this country into the ground. They have wracked up record, unsustainable debt and that’s going to end very badly. The system is thoroughly corrupt. The number of breadwinner jobs per capita has shrunk and will continue to do so. The middle class is being eviscerated. I could go on with more outrageous but won’t. Point is, if you’re not very angry you are not paying attention and in fact are just another clueless sheeple despite what that article states. We made plans and gave things up as I would bet you did. Called being responsible. 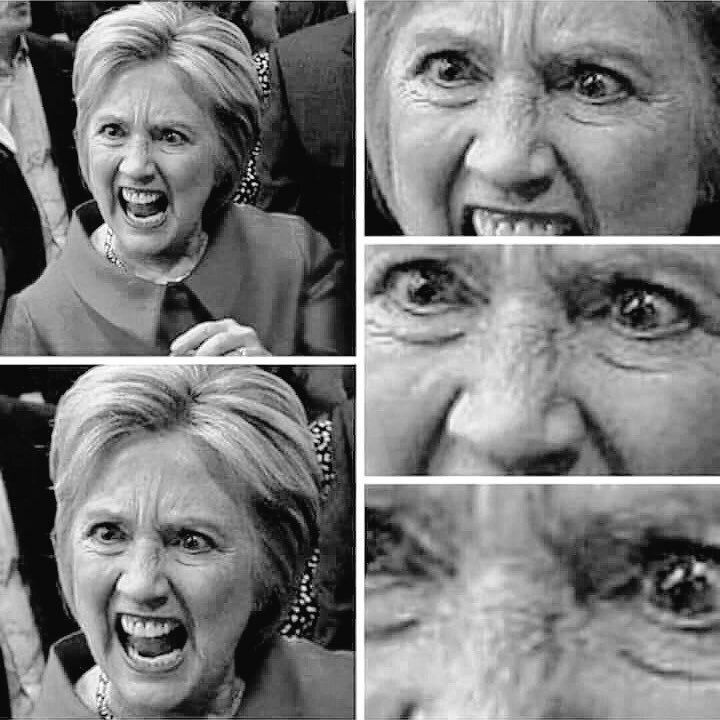 Now Hillary is going to make it free (at least for most). Have we reached peak gooberment yet? I agree, but all the manufactured bull we don’t need. I lived The American Dream, a house, three children, and one job to support us. Now the dream is dead and Americans still can’t remember why? We gave away our industry and sold ourselves to The Big Club, and your not in it, George Carlin. You’re so cynical. Have you forgotten that we still have the Good Tooth Fairy and our Fairy Godmother? Woodword’ s Watergate side kick, Carl Bernstein, is an active Hillary supporter. this country is about to sink. brother trump has warned the usa about the coming disaster. put hlry in and you get what you deserve. I think the good ol usa is headed for disaster. 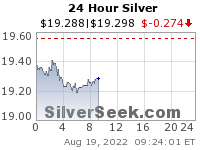 gold and siver most likely will not save our butts this time. As usual with Rolling Stone you can only believe half of what they say. The article slants anti-Trump and that for me kills the article completely. There HAS been a rise of violent crimes this year. How much? It’s still lower than say, during the Reagan era, but it is trending upwards again. I live in rural Mississippi and no one hides stuff in their cars. It’s all left in plain sight. I moved here from Houston and I found this stunning. But out here, crime is low. Gold was five. The MIDDLE FINGER THIS MORNING. 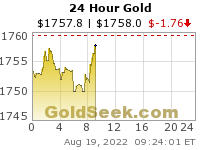 Expect gold to get hammered! In essence they said fu gold we are taking you down! Big Al, I agree that information overload is a problem, but I believe one of the biggest fears many of the older generation have (and I believe it is well founded), is the disintegration of society. It used to be that the vast majority of Americans held very similar moral standards. Today, it appears anything goes and beyond that, the stranger the morays are the more they are heralded and the people doing the strangest things, which were unheard of years ago, are held up as pop icons. When basic morality and a clear understanding of right and wrong no longer exist among the masses it is indeed disturbing. There are many good things happening as the culture changes, but much more of those changes seem to be taking a good part of society towards an unbridled, narcissistic and unhealthy direction. The sanctity of life, ethics, morality, honesty, civil discourse, respect and virtue have taken a beating over the last 40-50 years and it does not bode well for the kind of society and culture I believe to be for the best. Ignorance and apathy of how a republic should function and a departure from basic moral standards that helped to build this nation has indeed taken a toll. Jefferson once stated that the price of liberty is constant vigilance. That is true, but I believe it should also be applied to morality, which becomes the soul of a nation. I don’t think we have applied constant vigilance there as well. It is therefore incumbent on each of us to teach by example in living a moral and upright life and though it may not change the course society at large is on, it will certainly influence some of those about us for good. If we can only touch a few for good we have been successful in contributing to that which is good in life. Yeah, we’re bombarded by fear of climate change, and viruses, and overpopulation, evil Putin, and others, but the author doesn’t rag on establishment fear mongering. I’d like to know what he thinks about that? Only time tenkan touches/crosses kijun in the past 20 years is when a crash is coming. Time to sideline your long positions. It is part of the “Big Plan” of Social Marxism and Corporate Fascism. Agreed, CFS. There is plenty to be fearful of that is real. There is no need to live in fear, however, if one is prepared. The fear of children going out to play outside is way overblown, but it is promulgated by the establishment’s media, not just from the right. Methinks the author is greatly biased, though he does have a point — the media overblows things. Another example it the mass shootings and the ensuing gun control calls, when no one gets up in the morning to meet the day with any fear whatsoever of getting shot. Listening to the establishment’s media, you’d think there was a mass epidemic of people getting shot. The statistics prove otherwise. DeBeers harvests diamonds at the bottom of the sea : http://www.wsj.com/articles/de-beers-harvests-diamonds-at-the-bottom-of-the-sea-1476973582? first it was desalination then it was getting gold from the sea, now diamonds? what next?? and the diamonds they are finding are fetching the highest price per carat of any company mines! amazing! I am tired of politics (every where), inside The Beltway crap (I work for Obama in DC), and the head in the sand stupidity (98% of AmeriKans). I don’t know exactly what is going on, but…..
China’s oil imports are way up! Despite Russia’s oil exports being down. It could be both are preparing for war. It could be China is trying to turn its dollar holdings into real assets as fast as possible. BEIJING, Oct 24 (Reuters) – Angola became China’s largest crude supplier for the second time in September, taking the top position from Russia, customs data showed. China imported 4.19 million tonnes of oil from the southern African nation last month, up 45.8 percent from a year ago. That meant Angolan shipments stood at 1.02 million barrels per day, below 1.11 million bpd seen in August, the last time the country was the top exporter to China. The amount of crude oil heading east from ports on Africa’s west coast is expected to reach a five-month high in September, partly driven by trading houses such as Trafigura and Gunvor. Chinese demand for Angolan oil, which is cheaper and deemed to offer stable supply, is set to accelerate in October as the refinery maintenance season comes to an end. In the first nine months of 2016, Angola was also China’s third-largest supplier. Imports jumped 17.7 percent on-year to 34.39 million tonnes (916,229 bpd) in the period, data showed. Imports from Iraq jumped 58.4 percent in September from a year earlier to 4.07 million tonnes, or 989,400 bpd. In the January to September period, imports grew 10.3 percent from a year ago to 706,155 bpd. Or it could be that China’s economy is not as bad as news media claim it to be.